gunnercooke is a full service corporate and commercial legal firm with an innovative model that enables our lawyers to provide excellent client service. Established in September 2010, gunnercooke now has over 100 partners. Fees: We scope all matters in detail & provide clients with a fixed, certain cost. Seniority: We comprise solely senior lawyers, with a minimum of 10,000 hours practicing experience. Commerciality: 90% of gunnercooke lawyers have spent time in industry so we truly understand the commercial context in which we advise. Innovation: We are constantly improving the way that we work, investing in technology & training. gunnercooke has two partners based in Nottingham, Antonia Gardner (Real Estate) and Patrick Billyeald (Company & Commercial). Antonia is an accomplished solicitor with over 15 years’ practice in commercial real estate. 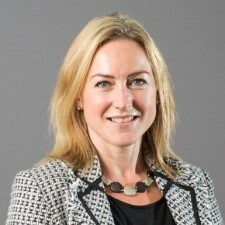 She is experienced in sales and purchases; leases; investment management, corporate support and property finance transactions, as well as being an adept business consultant. Her client base is varied: it comprises individuals; limited companies; PLCs; charities, healthcare organisations and the public sector. Antonia has built a reputation for being a natural problem-solver who always takes a commercial, common sense approach to serving the needs of her clients. She recognises the importance of resolving all matters on time and on budget and consistently receives excellent client feedback. Patrick has been a corporate lawyer and trusted adviser to business owners for over 35 years. He enjoys most of all getting to know and understand a business and its owners and their objectives, building a long term relationship of trust and understanding. He has a reputation for a down to earth practical and commercial approach based on a sound knowledge of the law and an ability to explain difficult legal issues in terms that clients can understand. 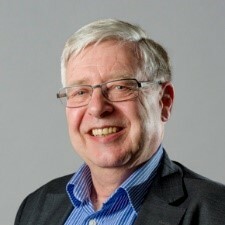 He specialises in all aspects of strategic planning including shareholder and partnership agreements, succession planning and shareholder protection, equity incentive schemes, strategic acquisitions, reorganisations, demergers, share buy backs, capital reductions and exit sales, whether to management or trade.